Thirty years ago Williamsburg was an abandoned industrial area, unwelcoming at best. Then artists and independent shops took root, it became trendy, and the neighborhood exploded. The quintessential Brooklyn lifestyle was further cemented when TV-show “Girls” creator Lena Dunham popularized the adjacent Greenpoint neighborhood, and now there is no going back. So locals are the best trendsetters, the city’s tourism experts concluded, and this is a model that could be applied to other neighborhoods. 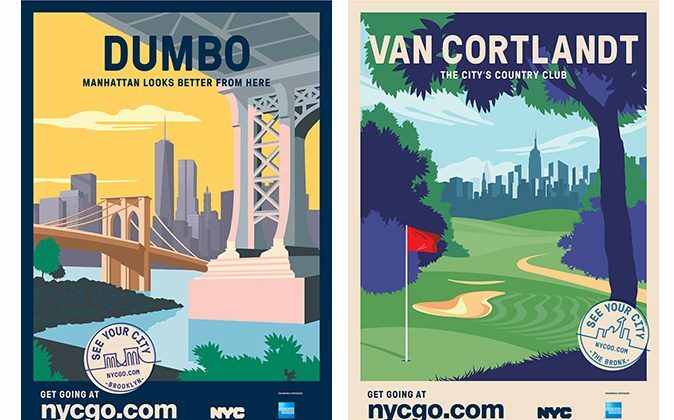 On Wednesday, NYC & Company, the city’s private and nonprofit marketing-tourism partner, launched a campaign to try to get New Yorkers to travel within their own five boroughs. 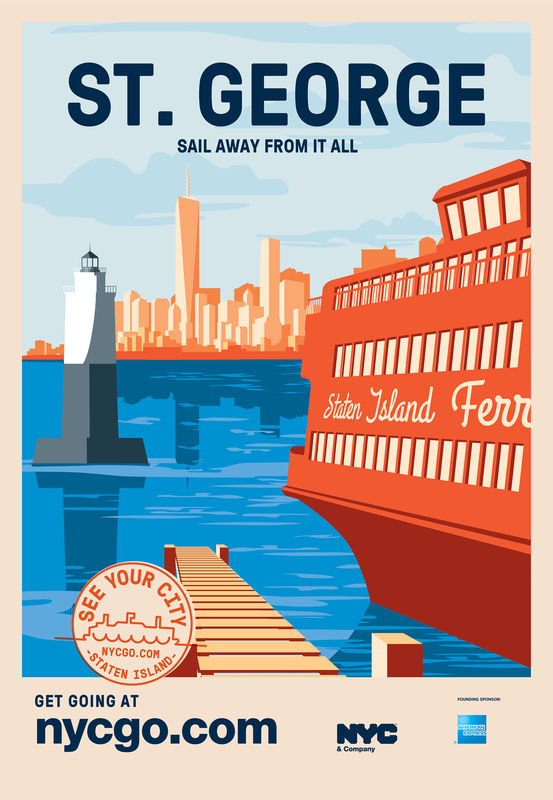 Tasked with capturing the attention of and enticing notoriously provincial New Yorkers to travel, Emily Lessard drew inspiration from vintage travel posters and passport stamps. Lessard, the creative director of NYC & Company, set out to rebrand and reframe 10 NYC neighborhoods as foreign, idealized, and aspirational. “Our goal was to create inspiration to convince New Yorkers to explore their own backyards,” Lessard stated in a press release. There are over 250 neighborhoods in New York City. About 800 languages are spoken. Despite the well-known high-rises, bridges, and shop-filled avenues, there is more to see, and the campaign centers around the fact that these new worlds are just a subway stop away. They are not asking New Yorkers to travel far. Rather than compiling a list of obscure, unmapped neighborhoods, the campaign focuses on neighborhoods that most New Yorkers have not only heard of but can place, even if they haven’t visited them. 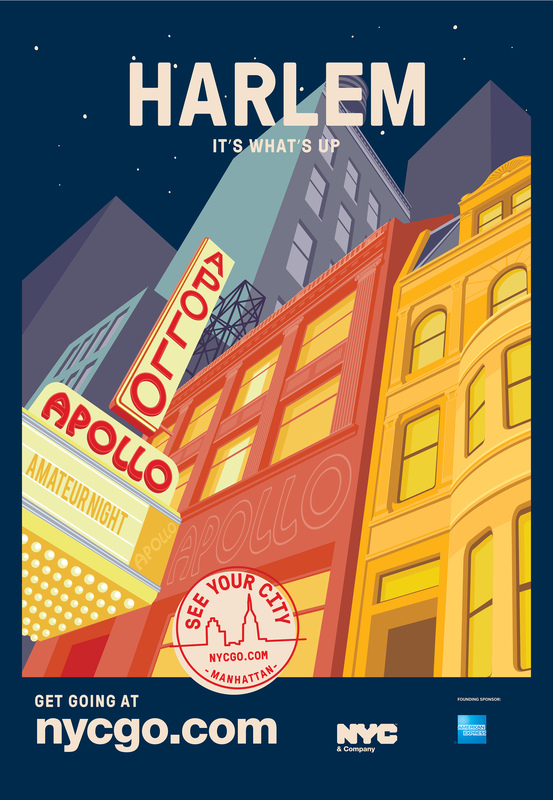 Two neighborhoods were picked from each of the five boroughs: Arthur Avenue (the Bronx), Carroll Gardens (Brooklyn), DUMBO (Brooklyn), the Staten Island Greenbelt, Harlem (Manhattan), Hell’s Kitchen (Manhattan), Jackson Heights (Queens), Long Island City (Queens), St. George (Staten Island), and Van Cortlandt Park (the Bronx). Jackson Heights is well-known for the diversity of cuisine, and the views from Brooklyn Bridge Park in DUMBO are unparalleled. Others are grittier choices like the developing Hell’s Kitchen, or farther out like the network of parks, wetlands, open meadows, and hiking trails in the Staten Island Greenbelt. They’re neighborhoods with all the makings of a great tourist destination to begin with, says NYC & Company communications director Dena Libner. Unique food and drink, cultural attractions, varied architecture, and (though unimportant for locals) ease of accommodation. They are also neighborhoods that have had community groups backing marketing efforts and neighborhood branding. It’ll be a challenging experiment. New Yorkers know their city is diverse, varied, and interesting, but getting a Brooklynite to go for a stroll in Queens is still harder than one may think. But the agency expects visitor numbers will rise regardless. Last year over 54 million tourists came to see the city; NYC & Company expects nearly 56 million visitors to the city this year.